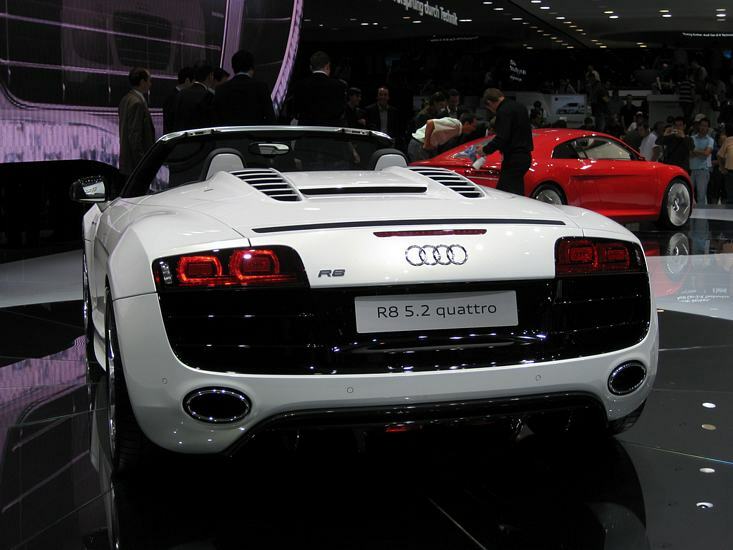 Additional Info: A 6 speed automatic (sequential R-Tronic) is also available. 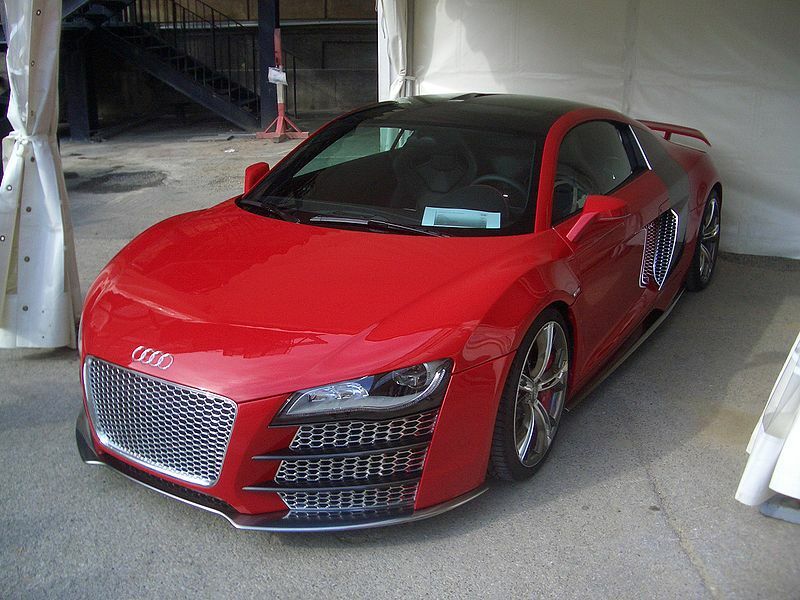 A GT3 racing version (code name R16) with 500bhp is due in 2009 (RWD only). 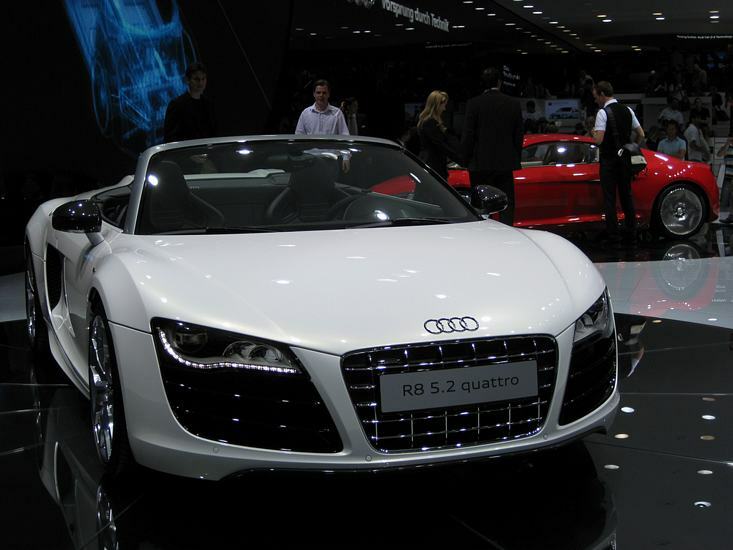 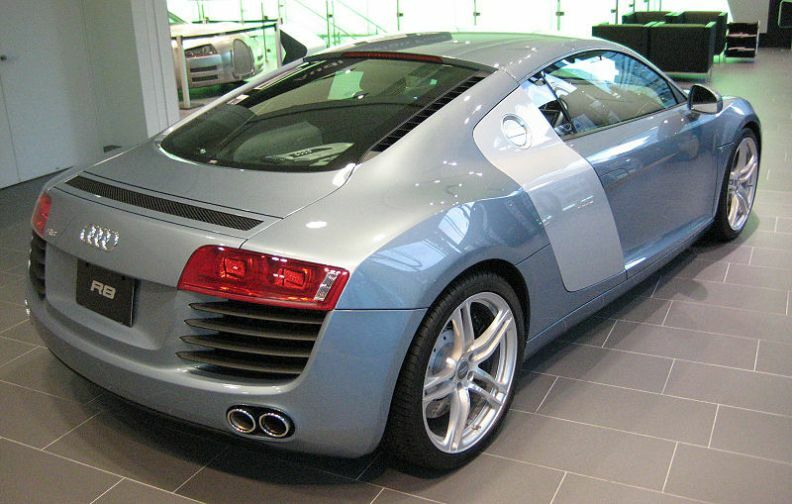 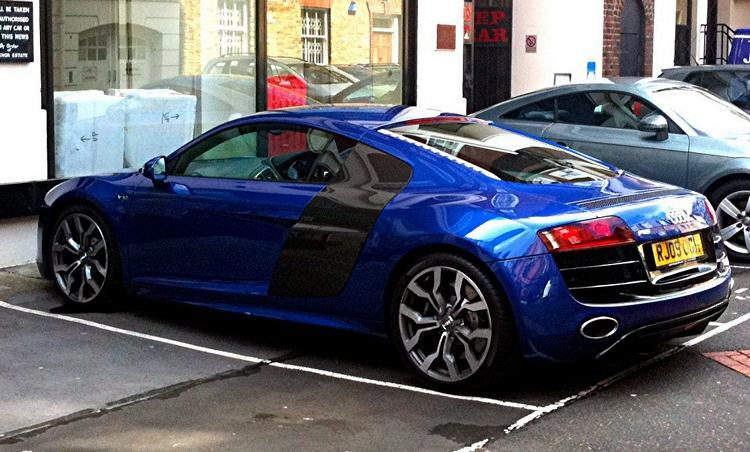 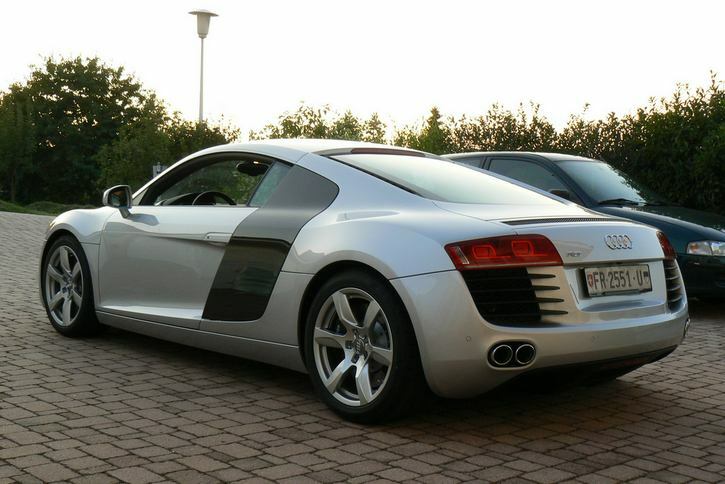 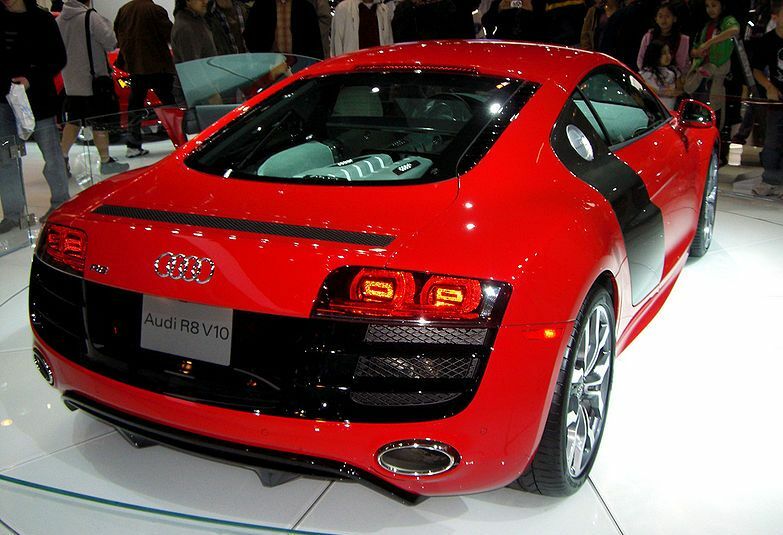 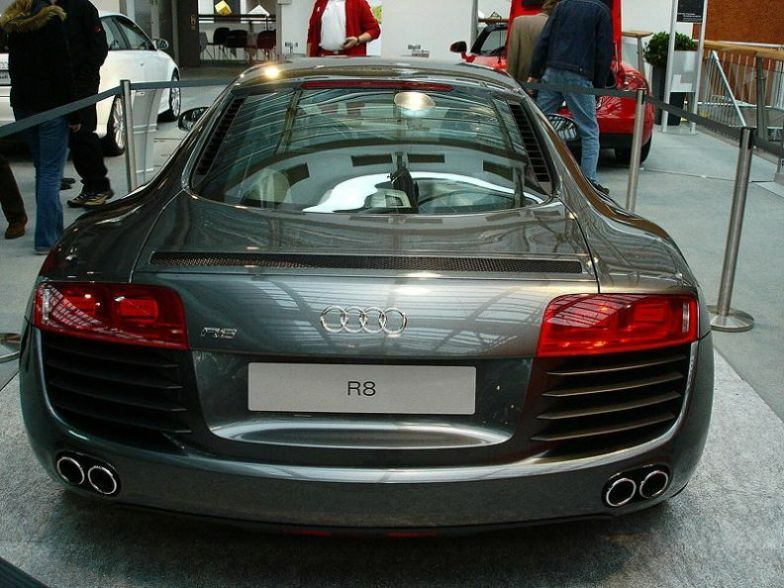 There is also an R8 concept turbo diesel with a 493bhp V12 0-60 in 3.9, 0-100 in 9,7, 1/4 mile in 12.4 (see last pic above). 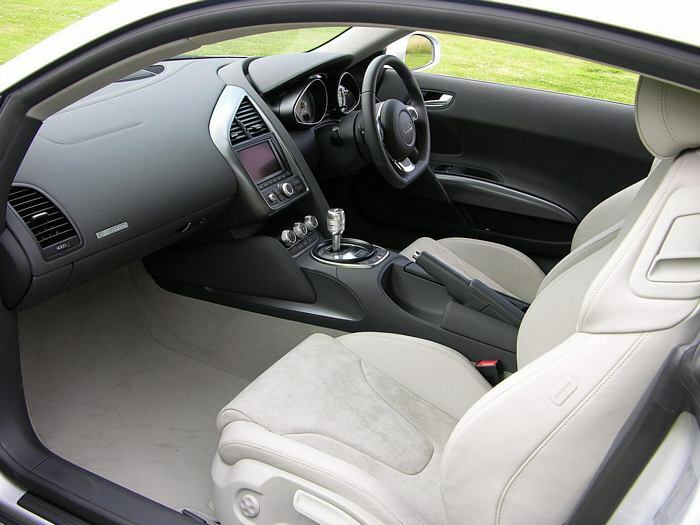 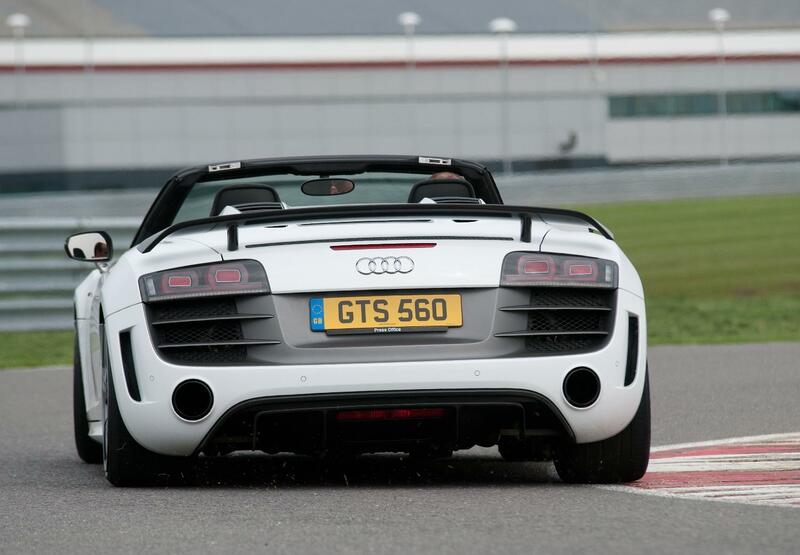 In 2011 a Spyder was made available with 423bhp with a 0-60 time of 4.6 secs. 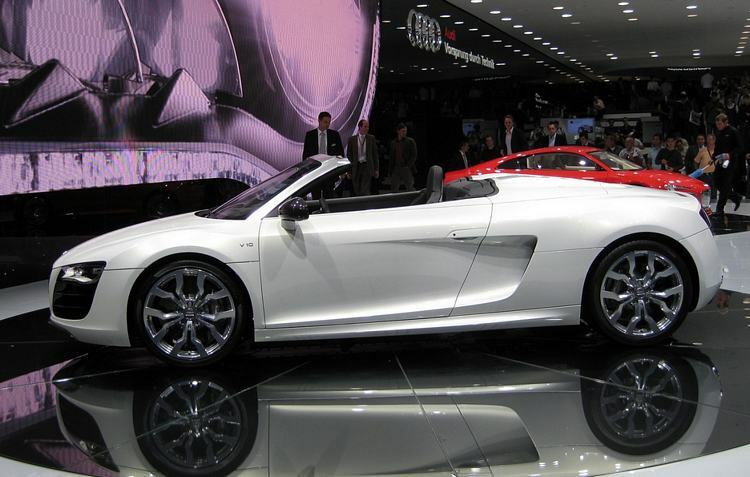 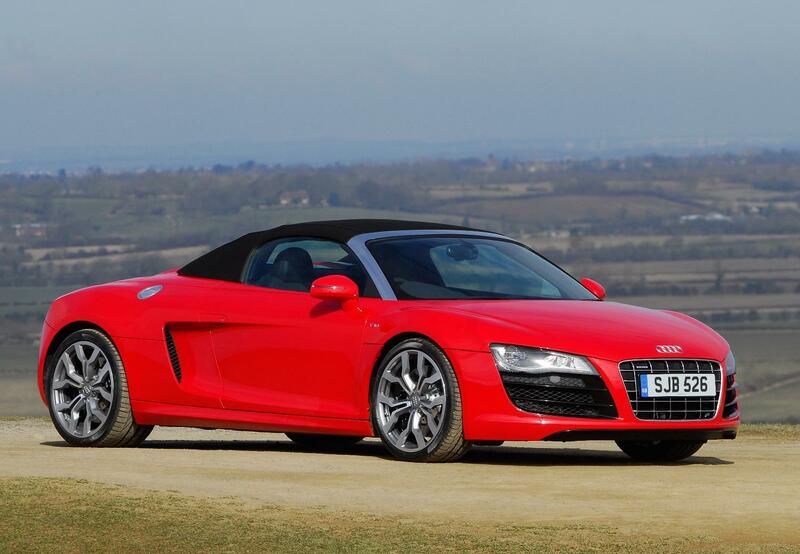 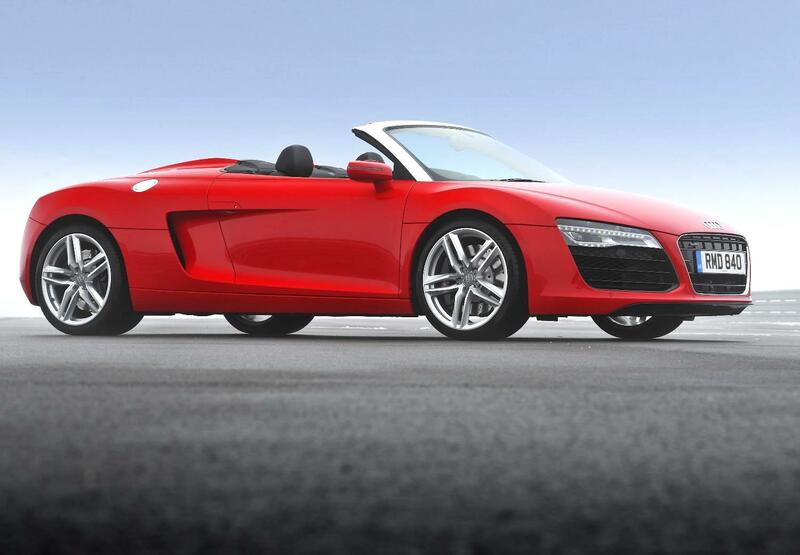 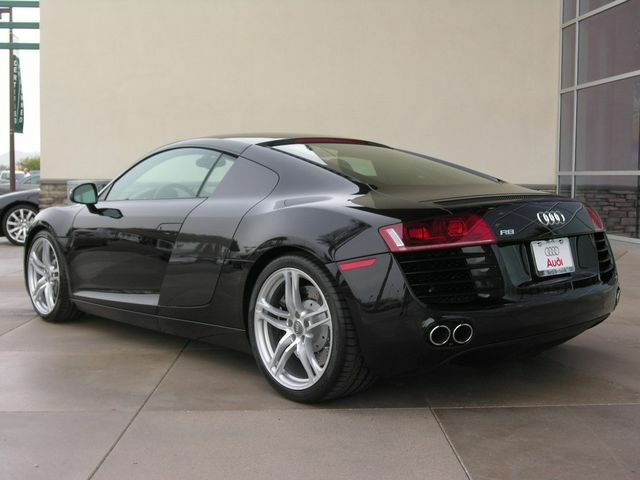 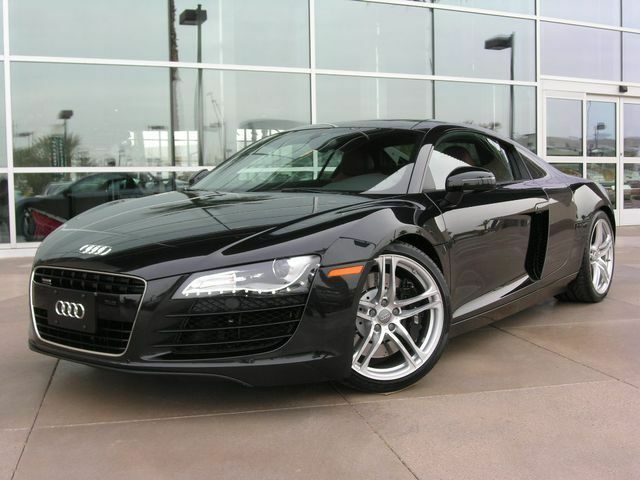 Additional Info: A 6 speed automatic (sequential R-Tronic) is also available as well as a convertible (2010 R8 Spyder) and with around 200lbs of extra weight gets the open top R8 to 60 in around 4.1 secs. 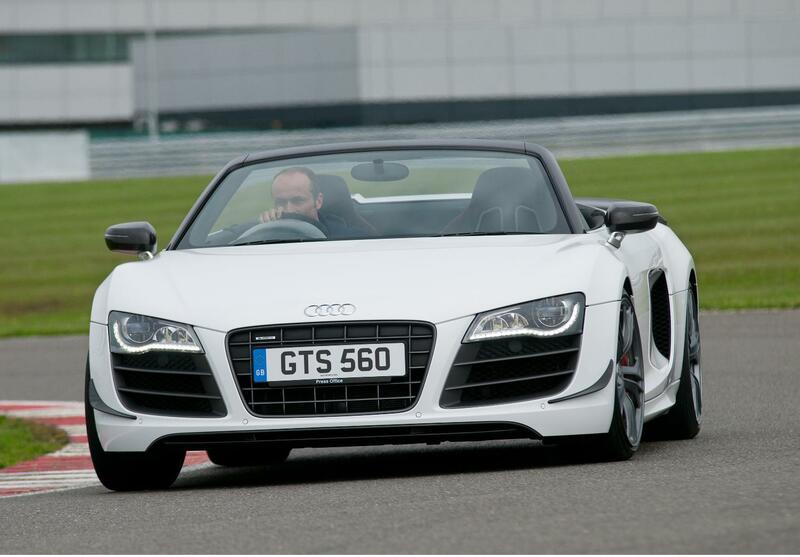 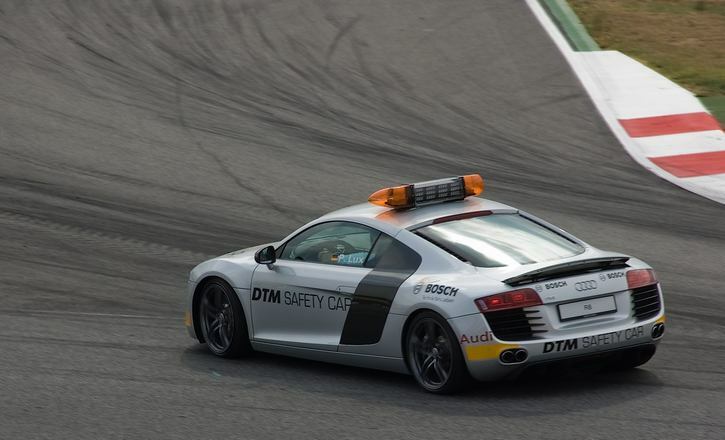 In 2011 more power was added with an incease to 552bhp with the R8 GT and the 0-60 was reduced to 3.5 secs using and automatic gearbox or 3.7 secs in the GT Spyder. 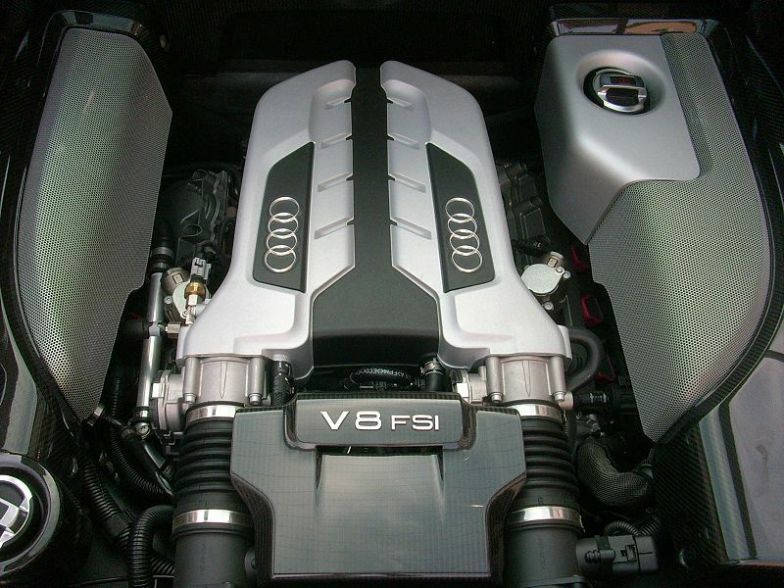 A 5934 cc V12 twin turbo Diesel engine can also be had with 493hp and 737lbft with 60 coming up in 4 secs and an averge of 27mpg. 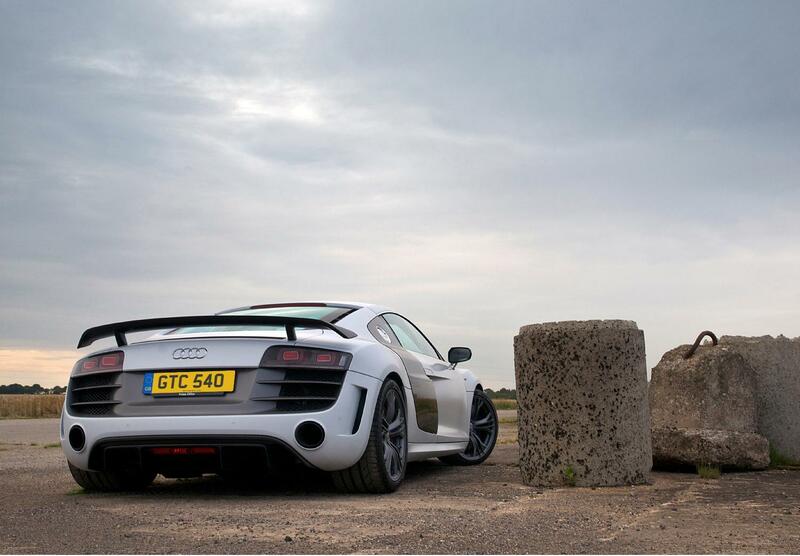 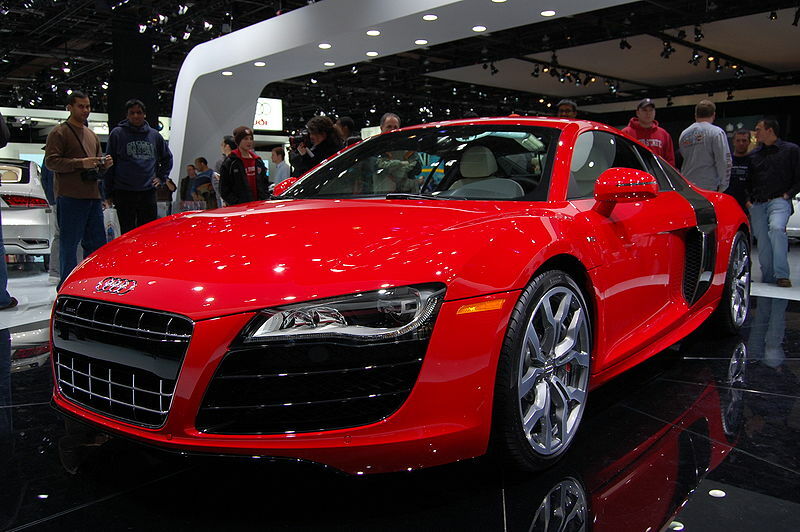 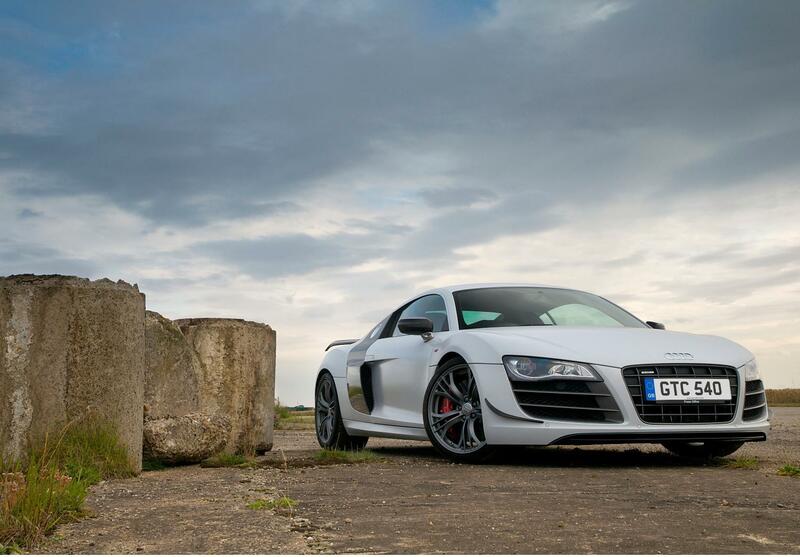 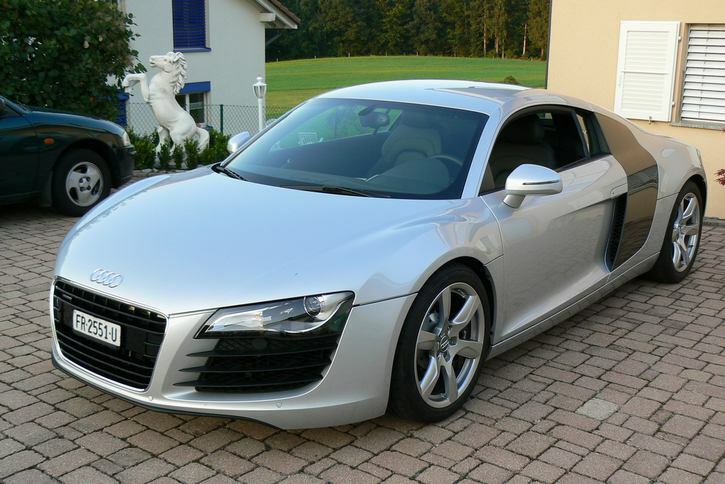 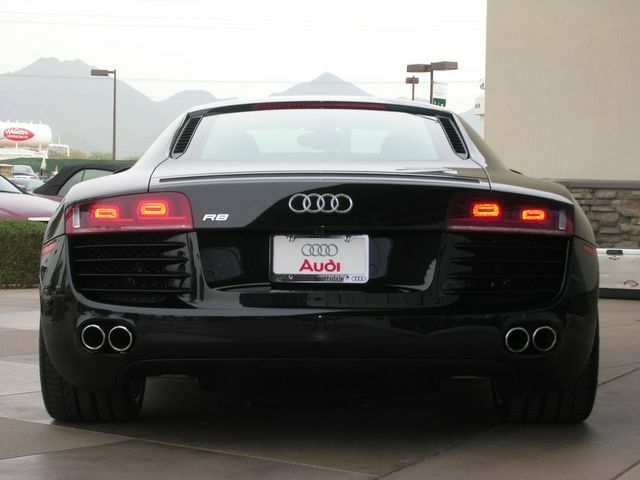 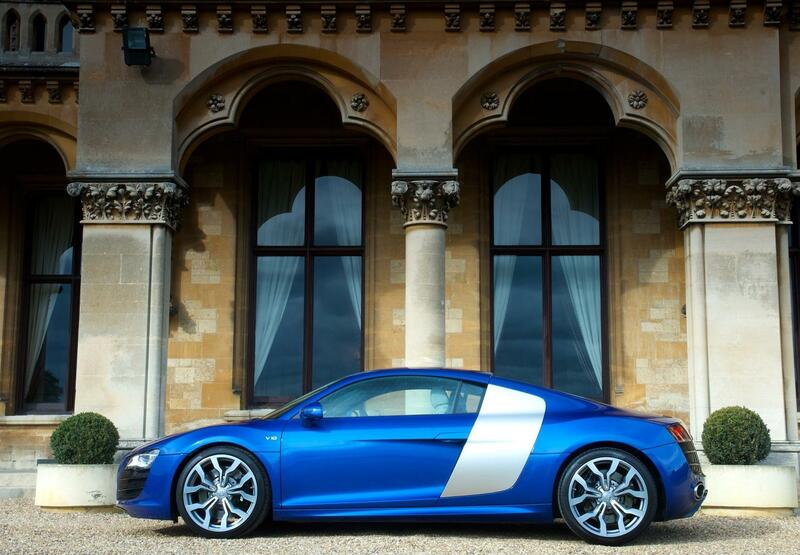 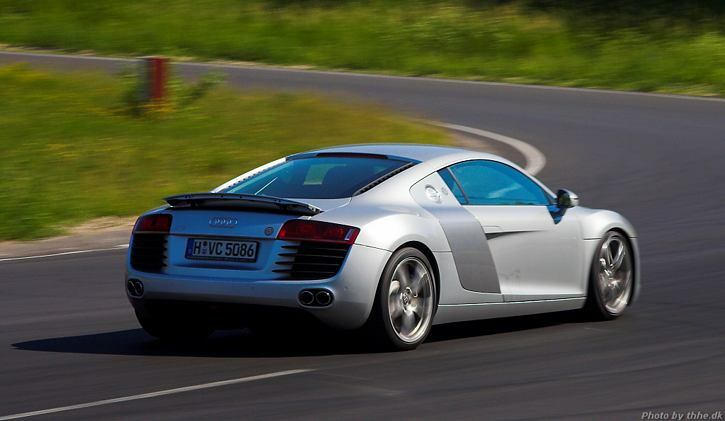 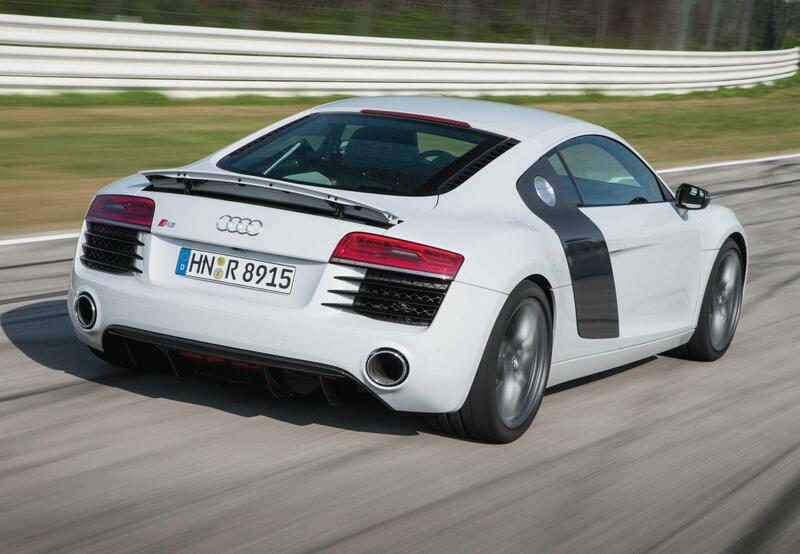 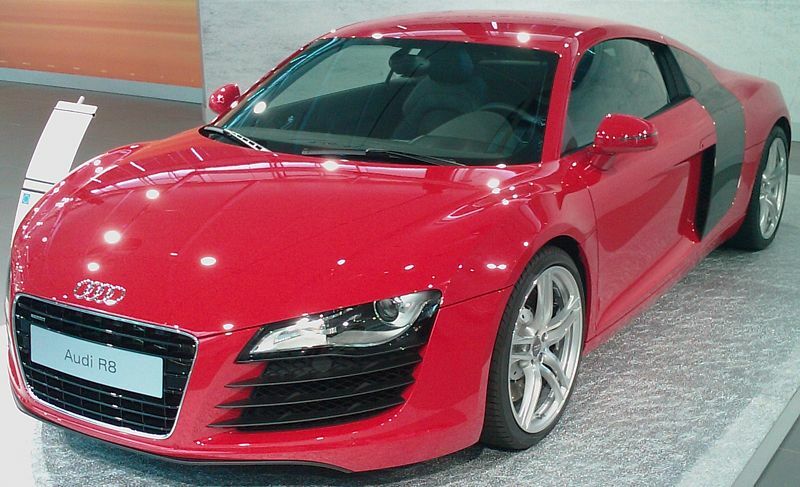 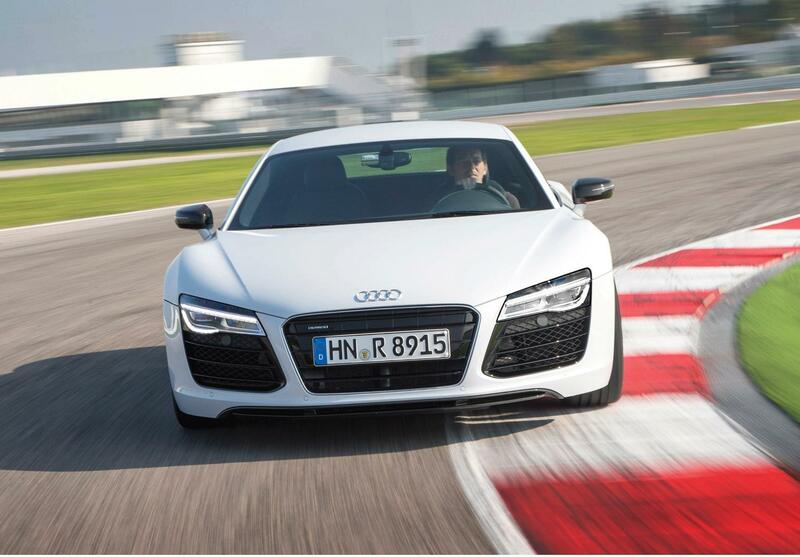 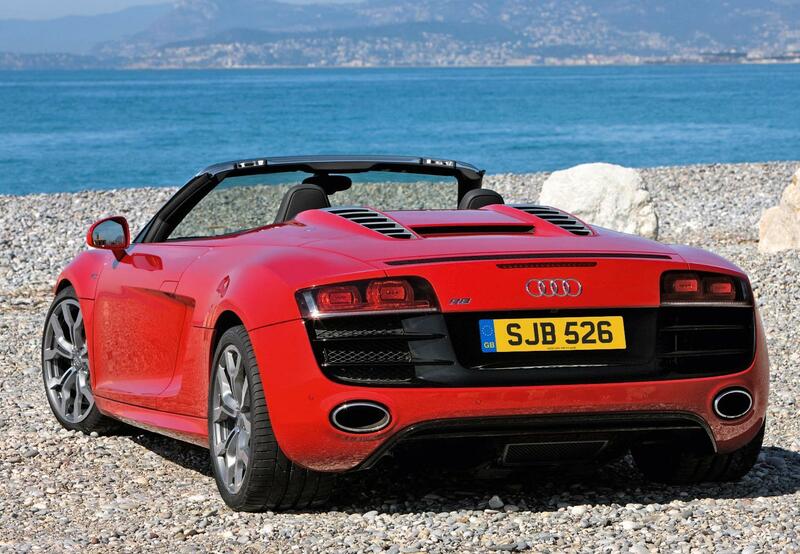 In 2013 the V10 Plus Quattro was added to the line-up with a 542bhp/398lbft 5204cc V10 engine and a 0-60 time of 3.7 secs. 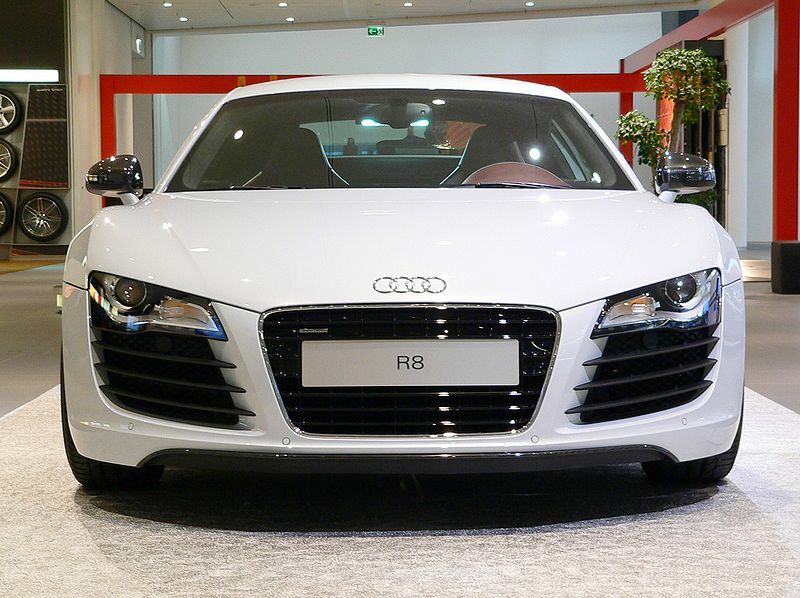 A limited run of 60 2015 Audi R8 Competition models with 561bhp/398lbft are available, that will get the R8 to 60 in 3.2 seconds.